Yesterday the headlines were stolen from Shanghai by Stephen Lee as news of his guilty verdict ‘rocked’ the sport, whatever that means. 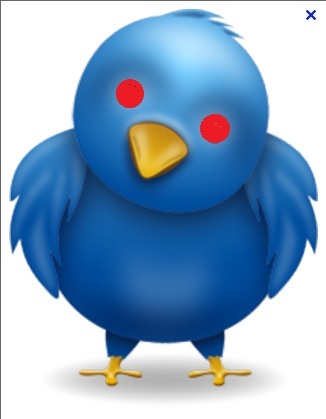 But today, a familiar name is right back in the headlines, perhaps wishing to deflect attention away from poor old Stevie, Ronnie O’Sullivan has broadcast a series of tweets which have just managed to make the whole thing a whole lot worse, if that were possible. Before throwing my half a crown into the wishing well I will first recount exactly what the hapless Ronnie had to say on the happenings of the previous 24 hours. I just love putting it out there bring it all out in the open.. Nothing like a bit of transparency is what I say.. They will prob fine me for talking about it.. They don’t like you doing that.. Like to keep things under the carpet.. So where do you start with all this? Well, Ronnie has been in this game long enough to know that these comments would be pounced upon by the hacks. Thanks to Twitter, some journalists these days can get their scoops before getting out of bed and Ronnie being Ronnie is a must follow for all budding sports writers who are after that prestigious post at the local scandalmongers. It did of course work and the BBC had it as their main sports ‘news’ item within a matter of minutes, decrying the forlorn state that the game had festered and decayed into, though failing to mention that this is just the thoughts of one man who isn’t always known for his recall of facts and who it seems has recently started taking a big interest in the work of David Icke. Don’t get me wrong, I think Ronnie has got a point. Dave Hendon has penned an excellent article about his experiences in the area of match fixing and the sub-culture that still to some extent exists in certain parts of the sport, though I would argue it’s far less prevalent these days than it was a decade or so ago. But it’s still there. I can only add to this superb piece that having been re-involved in snooker for a while since I started this blog, I am aware of rumours and whispers surrounding certain players and certain matches. Indeed, this is partly why the Lee verdict is no surprise to me at all, unlike when the John Higgins story broke a few years back which I still believe to this day truly rocked the sport to such an extent that even the resulting punishment dished out made a wider public very suspicious of snooker. For example, I know of one match in a tournament in which 2 of Lee’s ‘hooky’ matches were played, that I’d say the vast majority of the snooker fraternity and many of the wider public know was not played by one player at least, with integrity. But this veil of silence and secrecy and perhaps reluctance to tackle an issue full in the face has meant this has been swept under a very large carpet along with a few others. In my view there is no reason, given the retrospective nature of Lee’s case, that this particular match cannot be looked at again with fresh eyes, the evidence is available after all. 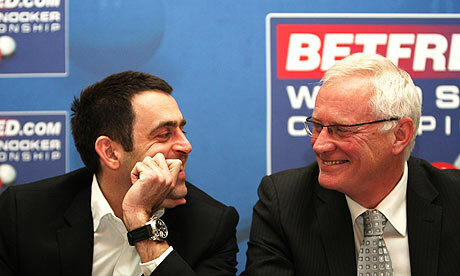 Barry Hearn has sworn to clean up snooker and Lee is likely to be the first truly high-profile player to feel the full force of this, but to some extent I would agree with Ronnie, it’s merely scratching the surface, but just sending a message isn’t enough, it’s like sending an assassin out to work with a water pistol, the investigations and sentences need to continue and continue at a pace. Unless snooker tackles all these cases both past and present, the whispers will still be there. That’s not to say that the sentiment to do so isn’t strong and I do believe that Barry and Jason’s intentions are honourable, but the job itself is a mammoth one, make no mistake about that. As Bazza asks the errant Rocket to explain his comments or face further action, the debate rages on and is unlikely to do the sport any favours………………..
On the table, the Shanghai Masters is well underway and the highlight of the day today was a win for Michael Holt over Judd Trump, an assured performance by The Hitman giving him a 5-1 win over the out of form Judders. Earlier on, Dark Mavis’s impressive run of form continued as he saw off Ali Carter 5-2 and there were also cosy wins for Neil Robertson, Mark King and Barry Hawkins. Marco Fu whitewashed Cao Yupeng in the afternoon session and there were deciding frame wins for Peter Lines over Matthew Stevens and Wildcard over Andrew Higginson. 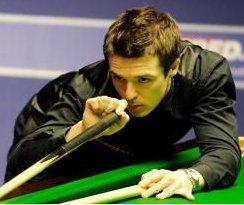 Lines victory coming after being 4-2 down, he truly is one of snooker’s great battlers and his results are really beginning to reflect this, he could well end up being this season’s Bingham/Mavis if his form holds up. Recommended Bet: 2 points on King to beat Dott at 6/4 with Apollobet. Predicted Winners: Maguire, Wilson, Walden, King. Predicted Winners: Ding, Selby, Allen, Milkins.